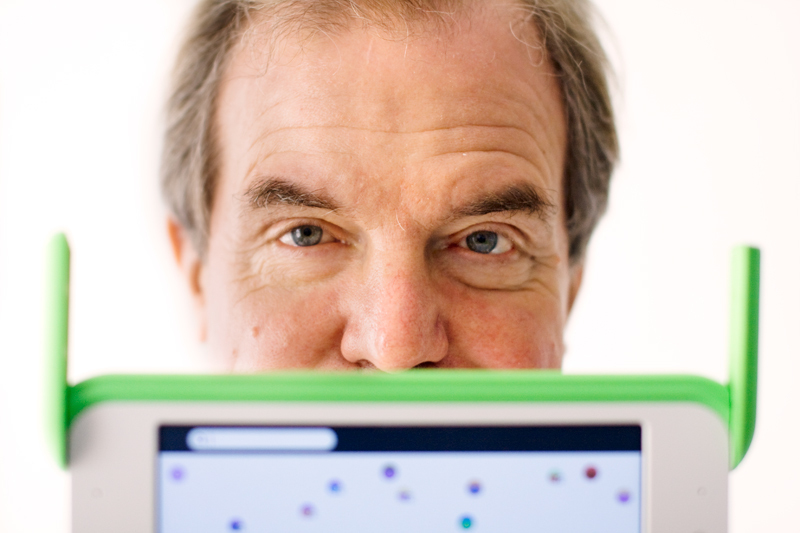 Nicholas Negroponte has made a name for himself not just by predicting the future, but by creating it. He co-founded and, for 15 years, directed the MIT Media Lab, which has become the premier academic incubator for advanced technologies research in fields like mesh networks, personalized robotics, and human computer interaction. During his time at MIT, Negroponte was the first investor in Wired Magazine, for which he authored a series of contributions that eventually became the book “Being Digital”. Collectively, these writings offered a glimpse into the world we now occupy–complete with ubiquitous wireless data, touch screens, e-books and personalized news. Ten years ago, laptops were not dropping in price. As Intel increased processing speeds, Windows increased their processing requirements, which kept the price of a basic laptop near $1,000 and the digital divide insurmountable for many. Negroponte’s mission was to create a $100 laptop that could be given to children in poor countries with struggling education systems to allow for a new type of educational boost. 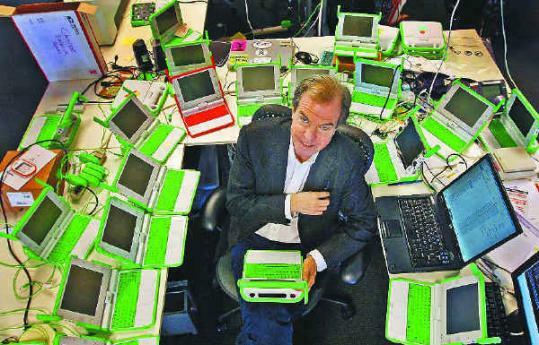 Ten years later, he has distributed 2.5 million computers across the world, and cheap computers have become an established norm. It will take many years to fully determine the effect of these 2.5 million laptops, but Negroponte’s work has been a major driver in the narrowing of the digital divide. His vision of low-cost laptops proliferating across the developing world is just one example of the kind of long-view thinking that has made Negroponte an effective leader, mover and shaker in the world of technology and access to it. Another might be the eponymous Negroponte switch, which he describes (and extrapolates upon) below. Negroponte’s last column for WIRED, written in 1998, was entitled “Beyond Digital”. On April 19th at Marines’ Memorial Theater he resurrects this title to give us a glimpse of the possibilities that lie ahead. You can reserve tickets, get directions, and sign up for the podcast on the Seminar page. If you are a member, please check your email for special ticketing instructions.